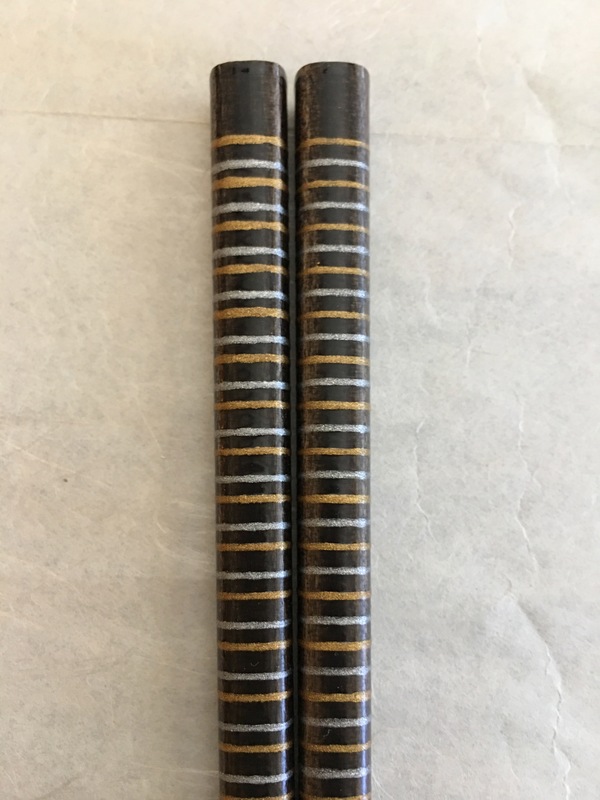 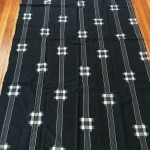 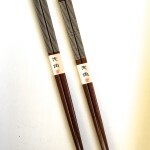 Finely “stenciled” and elegant, horizontal stripe pattern, wood chopsticks with clear lacquer. 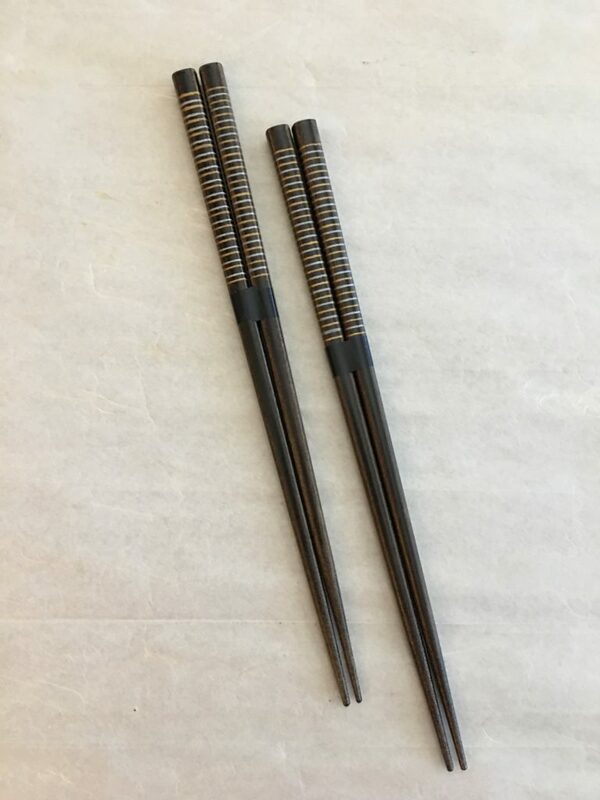 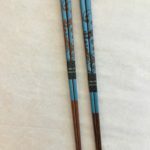 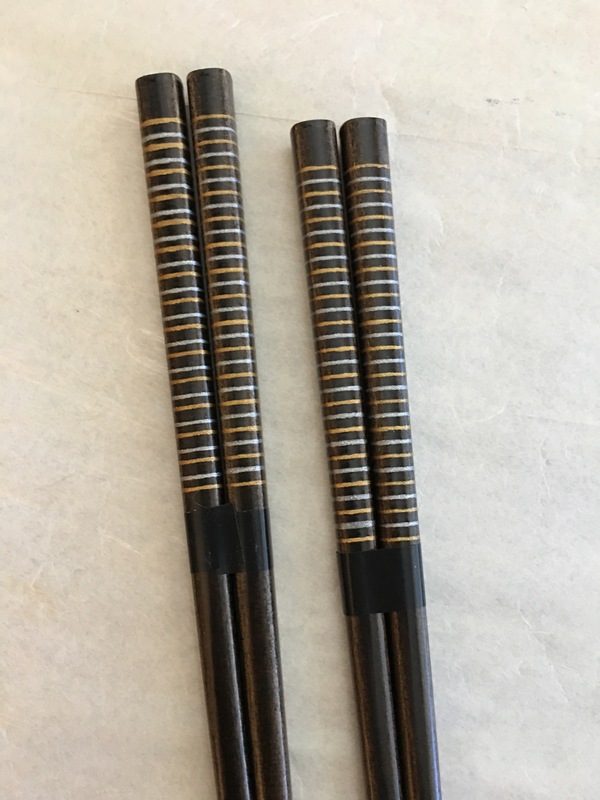 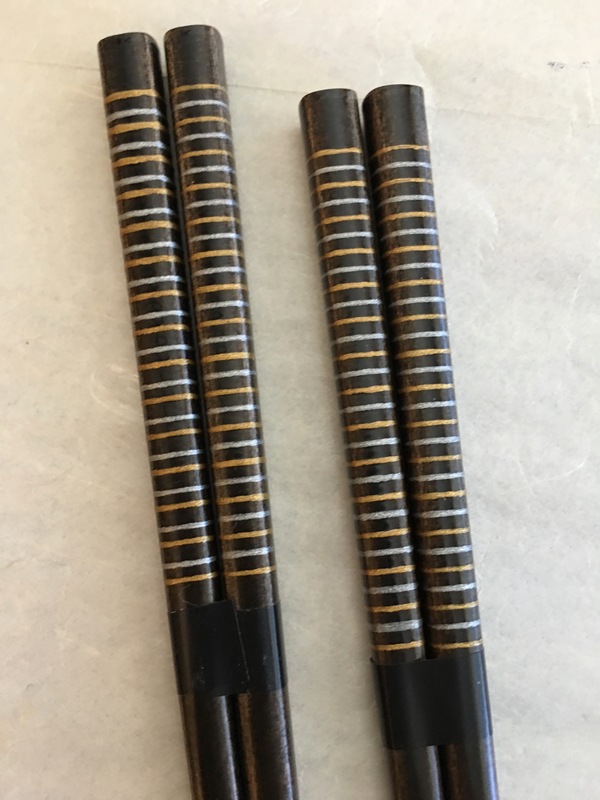 Set of 5 chopsticks, $50. 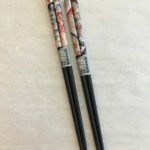 Each additional chopstick is $10. 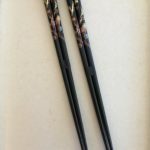 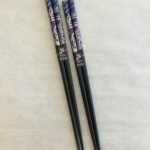 Shipping for up to 8 chopsticks is $12.